Specialty Schnauzer Show – CAC, hotel MAGURA, Chvojnica, SK. Gala dinner for 50. anniversary – Begin of breeding Schnauzers on Slovakia. Jubilee Club show – CAC, Horský hotel MAGURA, Chvojnica. 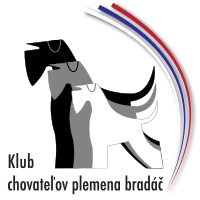 International Championship of the Slovak Republic on performance of Schnauzers. Schnauzer Club show – CAC, Camp Banský Dvor, Nová Baňa. Members assembly – Camp Banský Dvor, Nová Baňa.